BÌNH THUẬN — The southern province of Bình Thuận’s Military Command deployed the first test of using drone on Monday afternoon to inspect forest management in Hàm Thạnh Commune in HàmThuận Nam District. 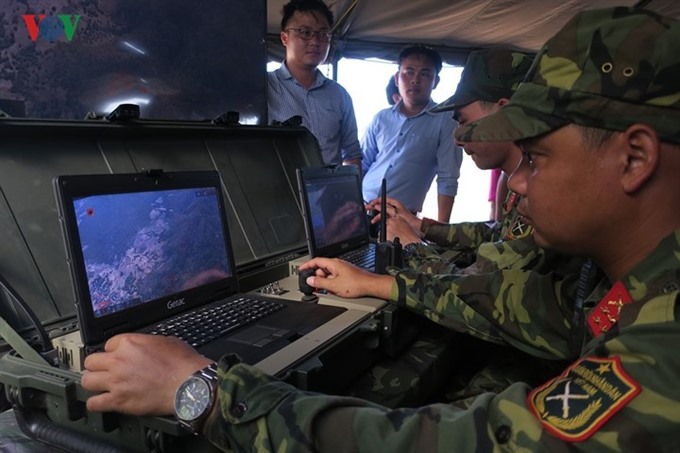 The Military Command launched the drone test in collaboration with the Department of Agriculture and Rural Development, according to vov.vn online newspaper. The domestically-manufactured VT-Pigeon drone was produced by Viettel Aerospace Institute under Viettel - Việt Nam’s largest mobile network operator. It is a wholly State-owned enterprise, operated by the Ministry of Defence. The drone weighs 26kg and has a wingspan of 3.25m. Its five-litre fuel tank can fly it for three hours, and its information system can transmit signals directly within a 50km radius. After its take-off from Hàm Thạnh Commune, the drone flew to Mỹ Thạnh forest and crossed the Núi Ông forest area located between the districts of HàmTân, Hàm Thuận Nam and Tánh Linh. The drone’s camera recorded the entire surface below, detected and transmitted images of five forest fires and sent clear coordinates of suspected locations of deforestation to the data centre. The drone can scout both during the day and night, proving to be useful to the forces assigned to manage forests as well as provincial authorities, Thân Hoàng Hà, chief of the pilot flight, told Bình Thuận Province’s leaders and forest protection forces. Hà said cases of deforestation and forest fires could be quickly detected and prevented in time with the help of the drone. After nearly three hours of fly test, the drone returned safely. After the trial, BìnhThuận provincial authorities will discuss carefully before ordering, buying or renting the equipment. Nguyễn Mạnh Hùng, secretary of the provincial Party Committee, said the pricing and features of the drone should be consistent with local natural conditions.